Grammys 2017: Is music's so-called 'biggest night' irrelevant and out of touch? The Grammys are promoted as music's biggest night. But it looks like the gold gramophone trophy has lost its glimmer in the eyes of some of music's most influential stars. It's a perennial complaint: the Grammy Awards aren't relevant to younger music fans. But this year's outcry seems particularly pronounced, with influential acts choosing to skip the high-profile celebration. 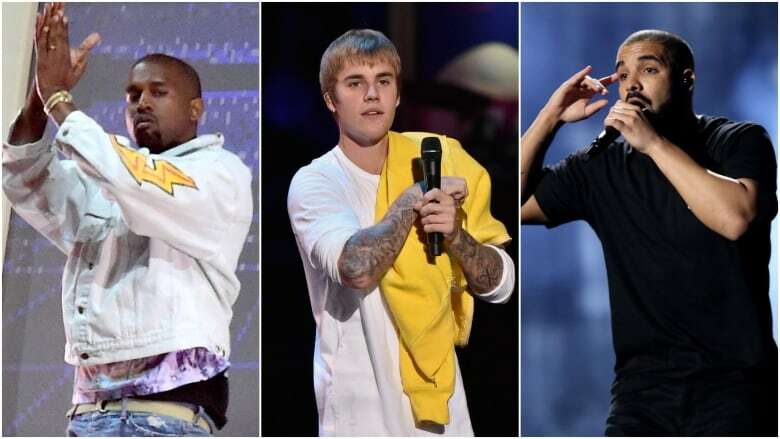 Three of this year's big nominees — Drake, Kanye West and Justin Bieber — are apparently all giving this year's ceremony a pass, according to published reports. There was a time that a nominated artist would clear his or her schedule to attend the awards show. Not so for Drake, whose eight current nominations brings his career total to 35 nods (with one actual Grammy win). The Toronto rapper has other plans for Sunday night: performing in Manchester, U.K., as part of his Boy Meets World European tour. Justin Bieber, who hails from Stratford, Ont., is enjoying a break from his ongoing Purpose world tour, but requests to his record label and management about his Grammy night plans (he's a contender in four categories) went unanswered. Bieber nabbed his first Grammy in 2016 after two earlier nominations in 2011. "The Grammys always used to be called 'music's biggest night.' But from the slew of stars who seem to be either boycotting or haven't submitted material or it seems to be they won't be showing up due to prior commitments, it seems to be the party no one RSVPed to," said New York-based music critic Sowmya Krishnamurthy. With 21 wins from 65 nominations so far — the most by any hip hop artist and among the top five highest nominations overall in Grammy history — outspoken rapper West could be considered a music establishment favourite. Still, that doesn't necessarily make him a Grammy fan: he was irate when Beck won album of the year over his friend, pop singer Beyoncé, in 2015 and, last fall, told fans that if hip hop singer-songwriter and rapper Frank Ocean didn't earn a Grammy nomination this time around, he wouldn't show up either. As it turns out, Ocean didn't get a nomination — because he didn't submit his critically acclaimed album, Blonde, for consideration. Though acknowledging that the Grammys have "nostalgic importance," two-time winner Ocean told the New York Times in November that it "just doesn't seem to be representing very well for people who come from where I come from, and hold down what I hold down." Recent winners Macklemore & Ryan Lewis also pulled back this year, choosing not to submit their latest album, This Unruly Mess I've Made (but not revealing why). 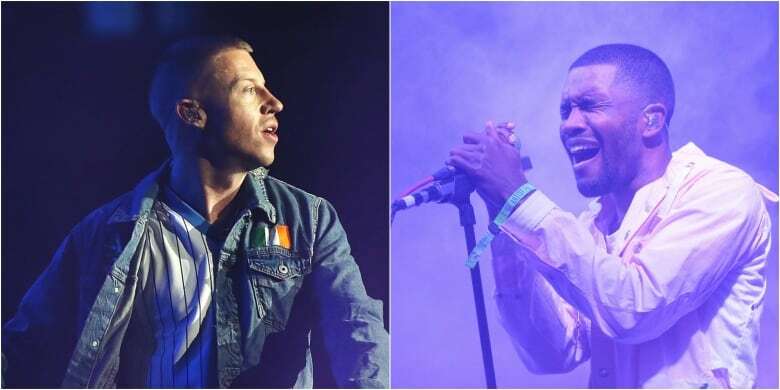 The rapper and producer duo won four Grammys in 2014, including best rap album over West, Drake, Jay Z as well as Kendrick Lamar, who many (including Macklemore himself) felt should have won. "Historically at the Grammys, black artists are poorly represented in the biggest categories," New York Times music critic Jon Caramanica wrote this week. "And the hip-hop and R&B categories tend to misread the genres they aim to celebrate, favouring the established over the insurgent, the legible over the provocative (and also, when possible, white artists over black)." 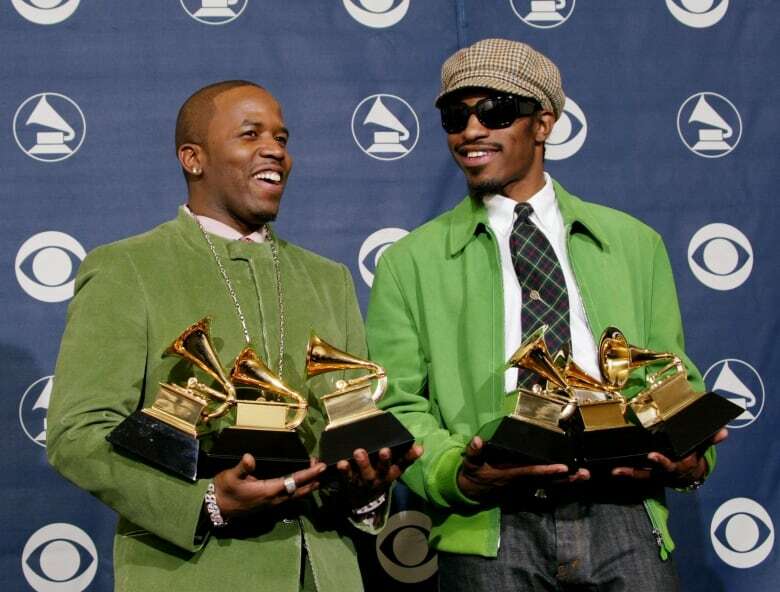 The most recent rap album to triumph as album of the year was OutKast's Speakerboxxx/The Love Below in 2004 — a surprising notion since hip hop has been a dominant music genre in the years since. "Hip hop has always had a love-hate relationship when it comes to the Grammys," said music critic Krishnamurthy. "It's usually more hate than love." The Grammy academy's habit of sidelining music popular with younger audiences may also help explain why the annual telecast's ratings are in bad shape. The ratings for 2016's show were the lowest since 2009, while Nielsen ratings also revealed a specific decline in younger viewers. The competition is stiff — not just from compelling TV series such as The Walking Dead also airing on Sunday nights, but from the other awards shows considered more appealing, said Krishnamurthy. "The MTV Video Music Awards, the BET Awards, the BET Hip Hop Awards — in many ways these shows have co-opted the place that the Grammys should be taking," she said. The Recording Academy behind the Grammys is, however, taking a few steps towards youthful change. 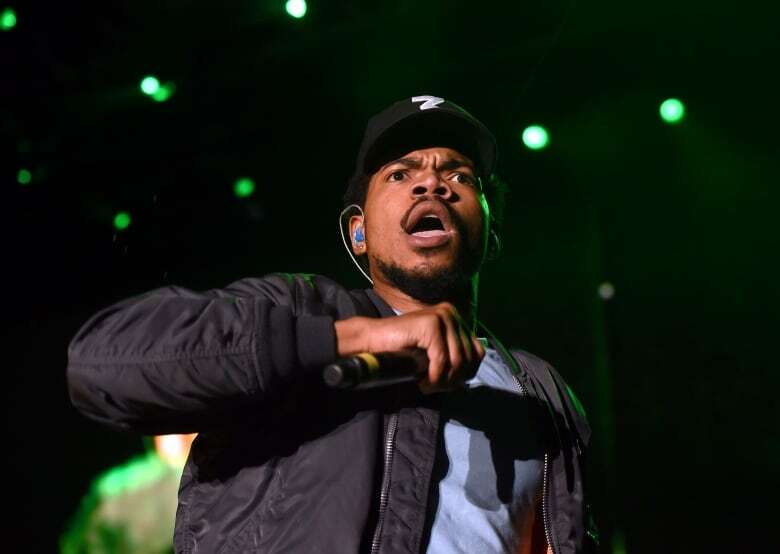 Last year, it tweaked the criteria in several categories to include artists releasing material via streaming services alone, which resulted in nominations for critically acclaimed indie artist Chance the Rapper. Organizers tapped late night TV host and viral video favourite James Corden to host this year's telecast and also launched a Grammy trivia series on Snapchat, hosted by YouTube vlogger Jack Baran. The producers have also whittled down the number of performers in older-skewing rock and country categories in favour of more pop, rap and R&B. Despite disillusionment about the Grammys, they undeniably still add a shine to a recording artist's career, according to Stuart Johnston, president of the Canadian Independent Music Association. "It's great for marketing," Johnston told CBC News on Thursday, speaking from a Los Angeles party celebrating Canadian music at the Grammys and an event where Toronto hip-hop producer and current nominee Boi-1da was among the performers. "It's great bragging rights too, to win a Grammy. To say they're recognized for their accomplishments, by their peers, by the industry, I think it's a fantastic thing." Join our post-Grammy Facebook Live on Monday at 11 a.m. ET. The CBC's Deana Sumanac-Johnson will pose your questions to our expert panel: CBC Radio host Nana Aba Duncan and Exclaim! senior editor Stephen Carlick. Go to facebook.com/cbcnews.